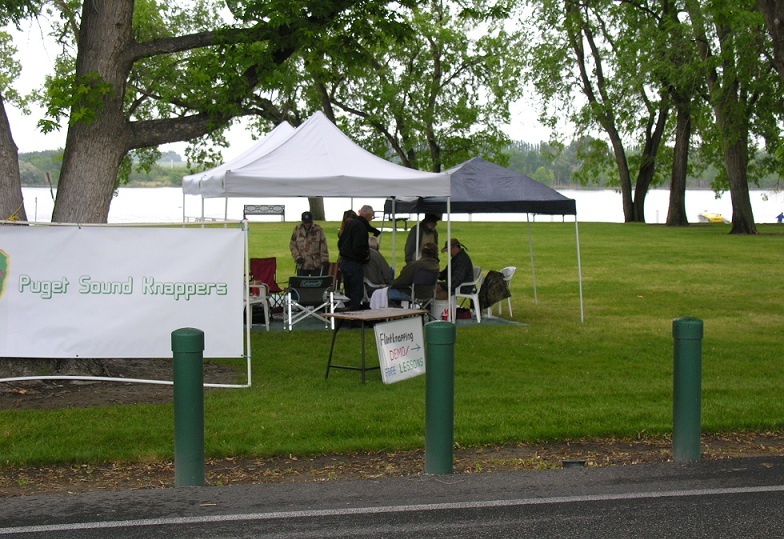 Host Greg Greger along with co-hosts Marvin Barger and Frank Omstead put on another great knap-in at Howard Amon Park in Richland, WA over the Memorial Day weekend. In spite of the cool and rainy weather there was a pretty good turnout. 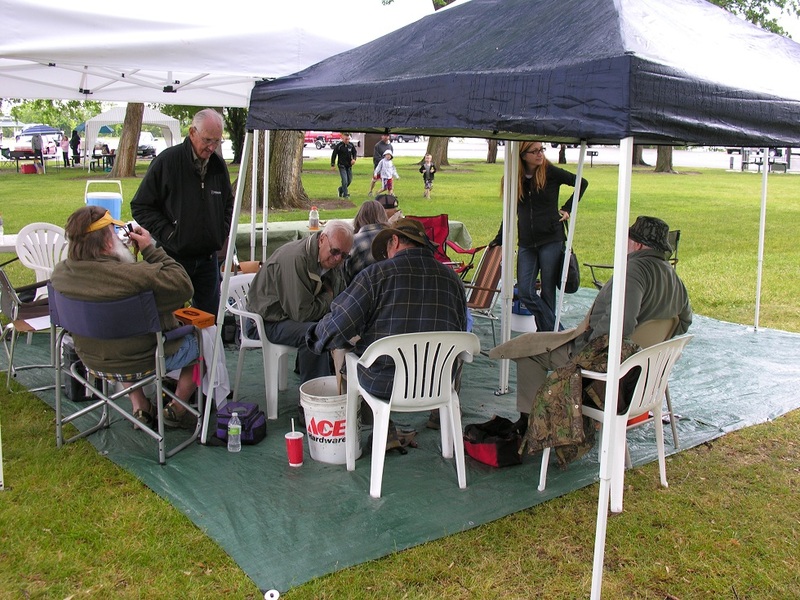 About a dozen PSK members attended and there were lots of spectators and noobie flintknappers who joined us. We also attracted the attention of the local NBC and ABC Television Affliliates - see the link below! 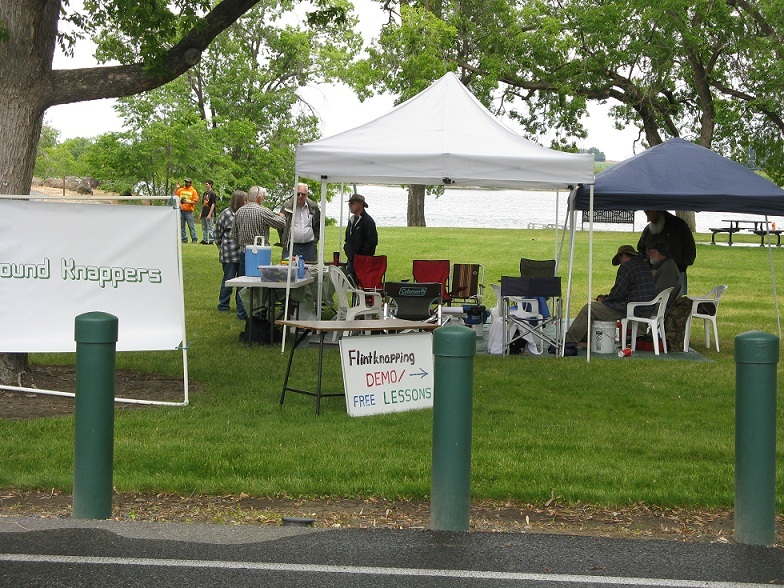 Howard Amon Park is an ideal place to host a knap-in. Situated on the bank of the Columbia River, it is close to where the Snake River and Yakima River join the Columbia and rich in history. 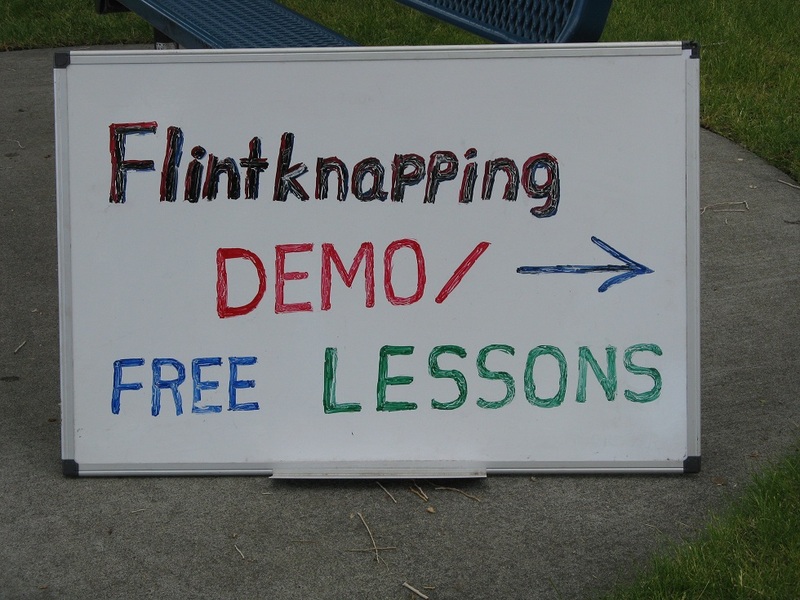 It attracts a lot of visitors and events like flintknapping seems to really appeal to the public. The success of this knap-in is largely attributable to Greg Greger, the oldest member of the PSK at 91 years, he's probably the oldest active knapper anywhere. 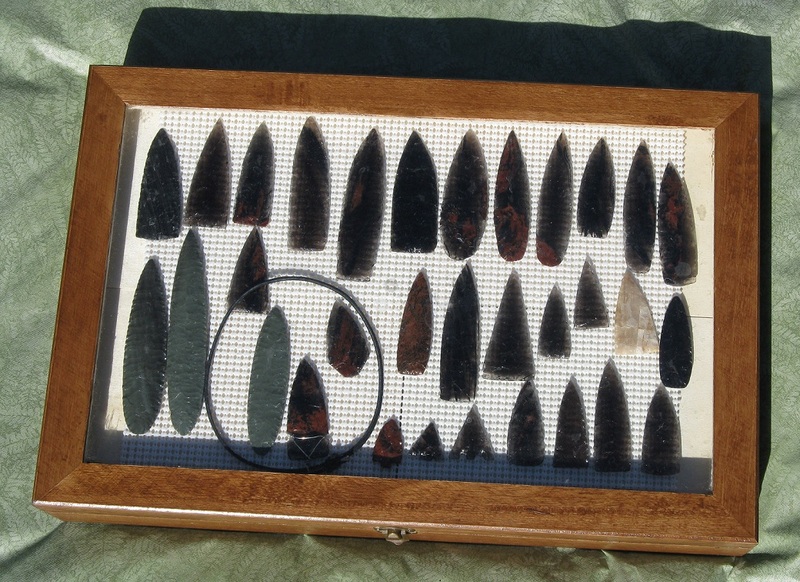 He's been knapping for over 40 years and has taught countless people this ancient art. 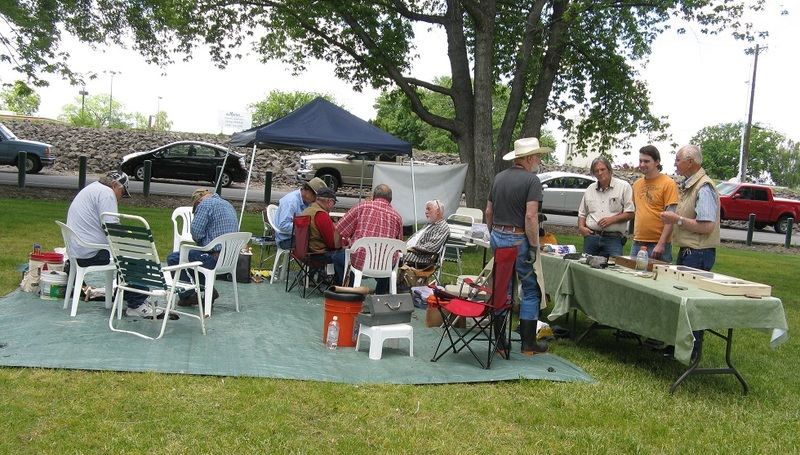 Through the local rock club, of which he is a longtime member, Greg has introduced a number of rock hounds to flintknapping, including the co-hosts Marvin and Frank. 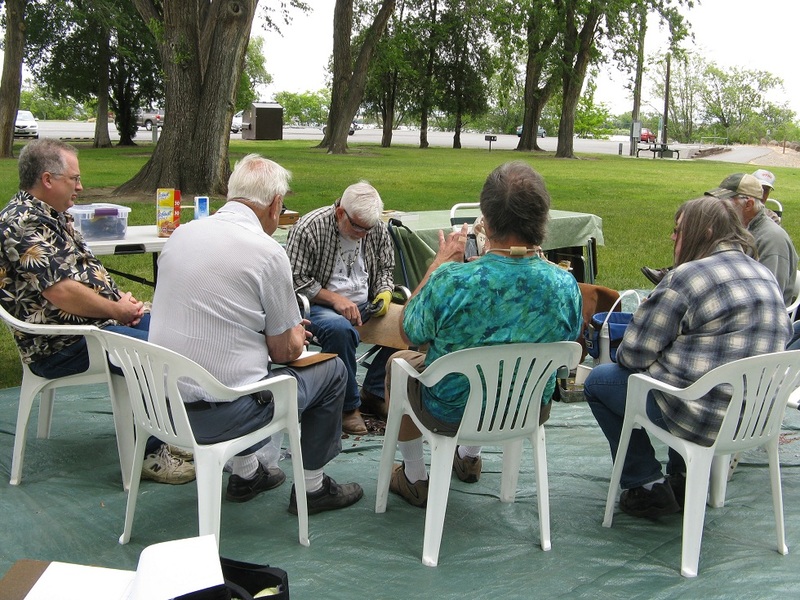 Many of those who attended the Knap-in also participate in a bi-monthly knap-in a Frank's house. 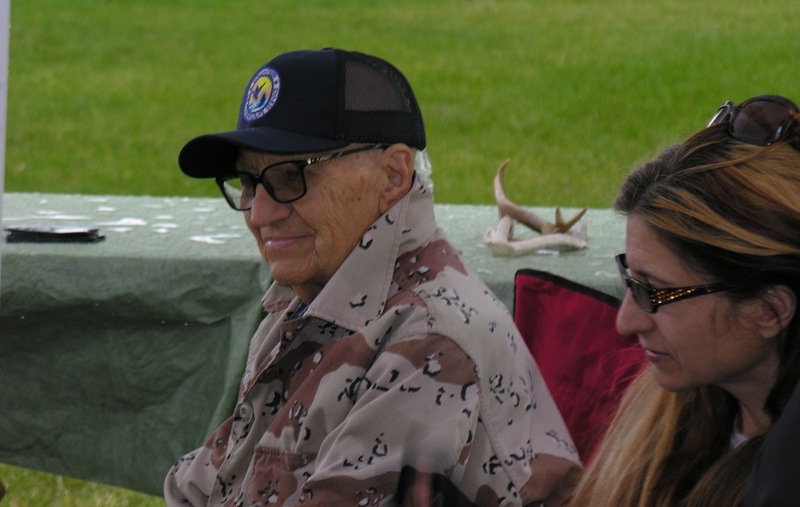 Host Greg Greger - Oldest Active Flintknapper! See the PSK on NBC!